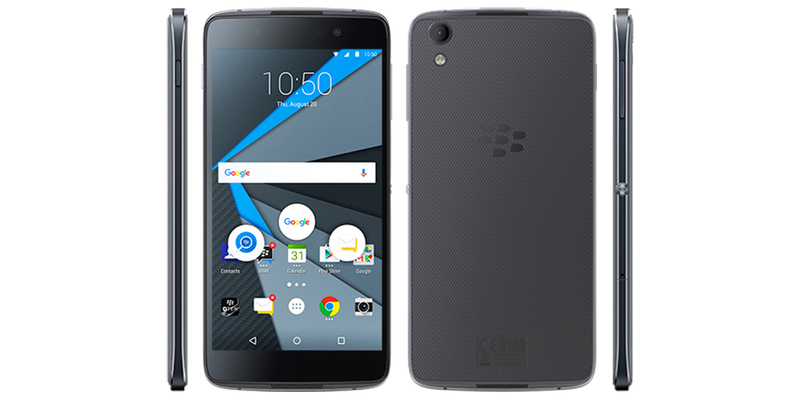 Confirmed: after the early publication of the characteristics and technical specifications at the official website, BlackBerry has officially opened the curtain to show the final look of the BlackBerry DTEK50, second smartphone based on the Android operating system and successor to the BlackBerry Priv. The Canadian company has presented it as the world's most secure Android smartphone, a goal achieved by making in the Google operating system a number of changes that are described in detail on the official blog. Reference is made, for example, to changes made to the kernel and the bootloader to reach algorithms disk encryption (standard FIPS 140-2).4 with a strong focus placed on the availability of security patches to fix bugs in a short time. BlackBerry relaunches its smartphones proposal accompanied by the Android operating system and, as supposed by some rumors, has introduced a new pricing model, if not low, at least more reasonable than Priv, smartphone with more than correct specifications, but with a price somewhat exaggerated. The DTEK50 is presented as an at least interesting product, especially to understand the way that the Canadian company is developing itself again. Because, from the point of view of hardware, the new BlackBerry DTEK50 is nothing but the Alcatel Idol 4 (designed and manufactured by TCL), the specifications are almost identical to this one, except for some details: Snapdragon processor at 1 5 GHz, screen with 5.2 inch, 1080p resolution and main camera of 13 megapixels. To see a product designed with BlackBerry hardware we may have to wait the true heir to the BlackBerry Priv, whenever the Canadian brand decides to announce and display it publicly. Where things change is in the software, where we find the true sense of the product. Based on Android 6.0 Marshmallow, BlackBerry retouched everything that has been necessary to strengthen the inside of its new smartphone, to the point of calling it, as we said, the world's most secure Android smartphone. Among the most important that the DTEK50 inherited from the services provided by Priv functions, we find the inclusion of key hardware encryption and encryption of personal information in the app DTEK (which shows the user the types of access applications data and gives a general indication of the security level of the device). This new cell phone will be compatible with management platforms as BlackBerry Enterprise Mobility or WatchDox. BlackBerry's commitment regarding the implementation of security patches equivalent to deploy before the rest of Android manufacturers; in fact, the same day that Google disseminate the necessary information. Finally, remember that the DTEK50 is available and you can pre-order it from its website; also through Amazon you can buy several different packages that include powerful battery chargers of all kinds. The beginning of deliveries is scheduled for the week of August 8th.